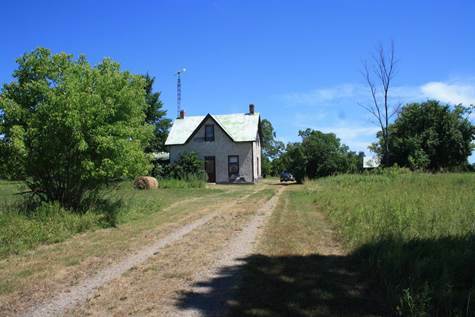 Year Built: 1860 "Exact age unknown"
An opportunity to own your own farm or get away. Located an hour from Ottawa, 20 minutes from Renfrew and 10 minutes from Calabogie this 149 acre farm features approx 55 acres of work land and 94 acres of pasture and woodland. It has the original log buildings from the 1800's, all of which have steel roofs but need some work to bringing them back to their original condition.The 1684 sq ft house was originally built as a log house with a summer kitchen add on. It does not have running water so that would have to be added, the well is only steps from the side door of the house. Most of the interior floors, ceilings and trim are original. Property is being sold as is. There has been one severance on the property, other may be possible. Note a weed killer was used on one field 7 years ago other than that no chemicals have been used on the property or genetically modified seed in the last 50 years so the property is very close to organic.